In my life, it was a specific cover of American Vogue Magazine that started my great love affair with fashion. 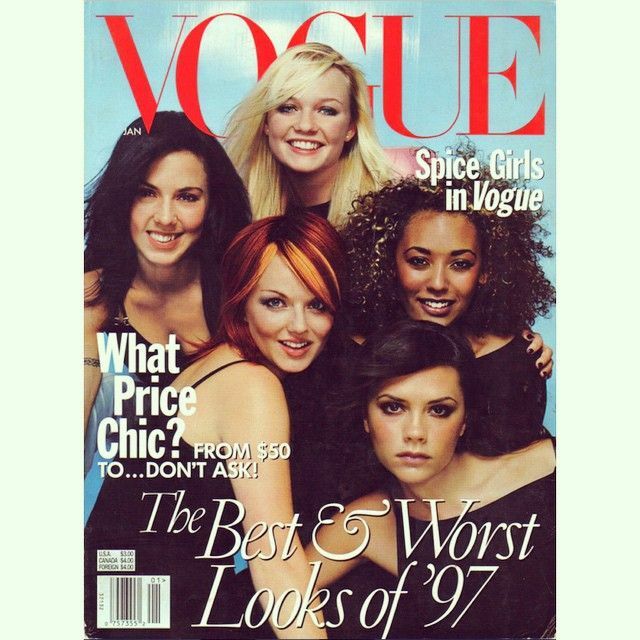 It was the January 1998 issue with the Spice Girls on the cover. I was a 7th grader starting to find myself. This magazine opened many doors for me and allowed me to start looking into this world filled with clothing, accessories, shoes, and fashion shows. It allowed me to also begin my study of journalism, which later became my undergraduate major in college. During my middle school years, a new television network, The Style Network, premiered as a secondary network to the E! Entertainment Network. It was one of the greatest television channels I had growing up because it focused on the world of fashion, beauty, home design and other areas of styles. Television shows such as Clean House, The Modern’s Girls Guide to Life, and Shabby Chic were on a loop. I enjoyed the early years of the network because their style correspondents would take you behind the scenes of fashion week in New York City. You could get to view profiles on designers, models and other style insiders. One of my favorite memories was watching supermodel Paulina Porizkova and fashion stylist Lloyd Boston watch video of fashion shows in 2001 and meet with the designers, models, celebrities. I was excited to come home and tune into the up to the moment coverage of fashion week. One of favorite shows to watch on this network was Fashion Television. This show premiered in 1985, with Jeanne Beker, a fashion journalist and producer. Her backstage tours of fashion shows, interviews with designers, models, and contemporaries was so interesting. One of my favorite episodes was back in 2007 when she covered the 40th Anniversary of Christian Dior Haute Couture. Her feature, not only covered the fashion show, on location at the Palace of Versailles but also showed the reporter having fun with models at the after party. Beker’s professionalism allowed her to build strong relationships with even the most private designers. She was able to get an interview with Alexander McQueen, whom for many years never gave press interviews! The show unfortunately ended in 2012 after 27 years on the air. Fashion Television was jumped from two Canadian networks, City TV and CTV until the Fashion Television Network was created. But even a network of their own couldn’t save this show. I miss this show so much! But Beker is still making her mark in the fashion world! Fashion File was another wonderful fashion program from Canada on the CBC Network. This show premiered in 1989 and ended in 2009. Tim Blanks, a fashion journalist and editor of such Canadian publications including Fashion Magazine and Flare Magazine was host of this investigative look at world of fashion. This show liked to do features on various fashion shows, “model moments” with current catwalk superstars, and celebrity interviews at the front of house. Blanks’ career took a turn when he left the show in 2006 when he was made the Editor-at-Large for http://www.style.com (the former online home for Vogue Magazine and W Magazine). This website evolved into Vogue Runway. I am obsessed with finding clips online of both programs. I suggest if you are looking to brush up on your fashion history and major moments from the 1990s and 2000s research and learn. I know you will enjoy it! Previous Post Alber Elbaz Out at Lanvin!